Court reservations are available Sunday through Thursday nights. No court reservations Friday or Saturday nights - event reservations and walk-in only on weekend nights. Please visit our reservations page and select the appropriate link for your reservation type. WALK-IN PRICING – Walk-in pricing is per person, by the hour. Sunday-Thursday all day and Saturday until 4:00 pm: $5/hour per person $25 cap. RESERVED PRICING – Bocce courts reserved in advance are a flat rate. 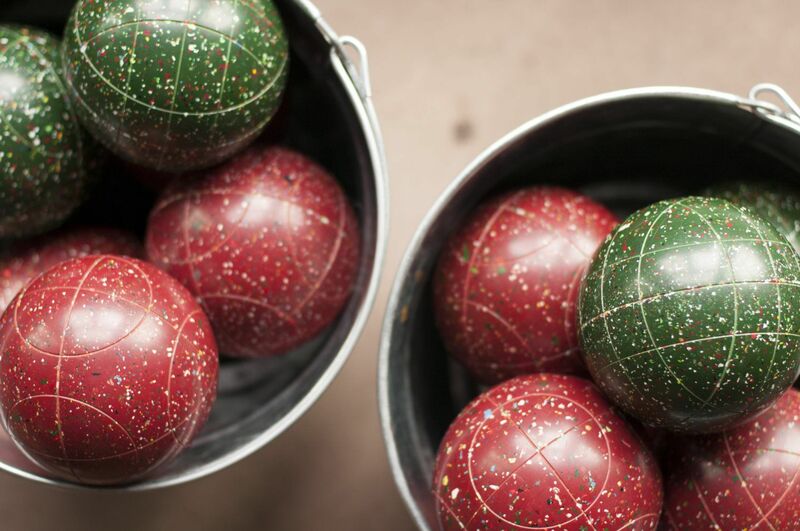 Friday-Saturday: We do not accept bocce reservations for Friday or Saturday evenings. There are some reservations available during the day. Bocce courts reserved as part of a large party package: $50/hour unlimited people (maximum of 8 people at a time on the court) for one hour. Bocce court rental does not count towards any applicable food and beverage minimums. *Average game with 4 people takes +/- half an hour to play.